This project has been designed for the City of Stockholm and the Traffic Office in order to find innovative lighting solutions for the future urban landscape. 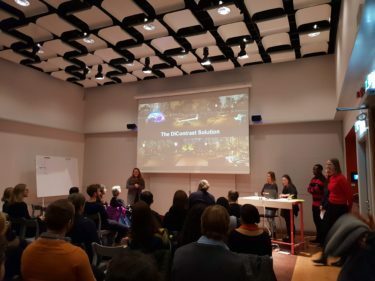 The City of Stockholm is interested in the wants and needs of the citizens in Stockholm year 2040, and that has been the focus for this project. Throughout the project we have analyzed previous research, conducted interviews and taken part in ongoing discussions on improvements and opportunities concerning lighting solutions in public parks. Humlegården in Stockholm has been used as a base for interviews and testing. The collected material shows that the citizens experience a lacking sense of safety in parks when it is dark, this feeling is especially evident among women. Based on the discovered wants and needs we have created a concept that provides an innovative and aesthetic lighting solution in parks, that focuses on changing the ambiance in the park to enhance the sense of safety for women. *Two different student teams worked on this challenge with different approaches. The other team’s solution is the Smart square.